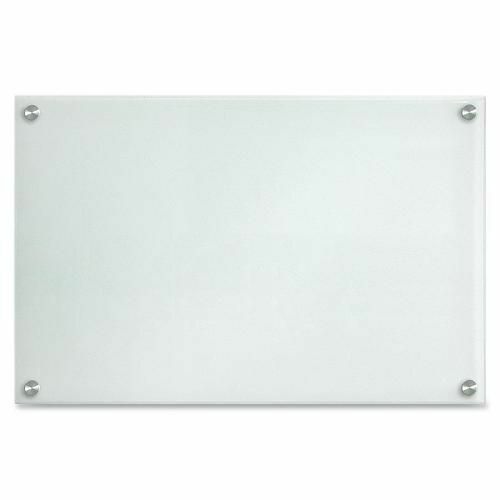 Add style to your office with this glass dry-erase board that makes a subtle yet classy statement. Contemporary, solid glass panel provides a superior writing surface. Glass surface will not stain or ghost. The glass board promotes smooth writing and erases cleanly and completely under the most demanding usage. Glass boards look brand new even after years of use. Ultra-white, frosted writing area offers easy viewing. Glass board works with all dry-erase markers. Steel bolts hide the mounting hardware (included). Board also includes a panel hanger.